I made this amp in 2000- It has a rectifier tube, an EF86 preamp tube, and an EL84 output tube. It probably puts out about 4 watts. 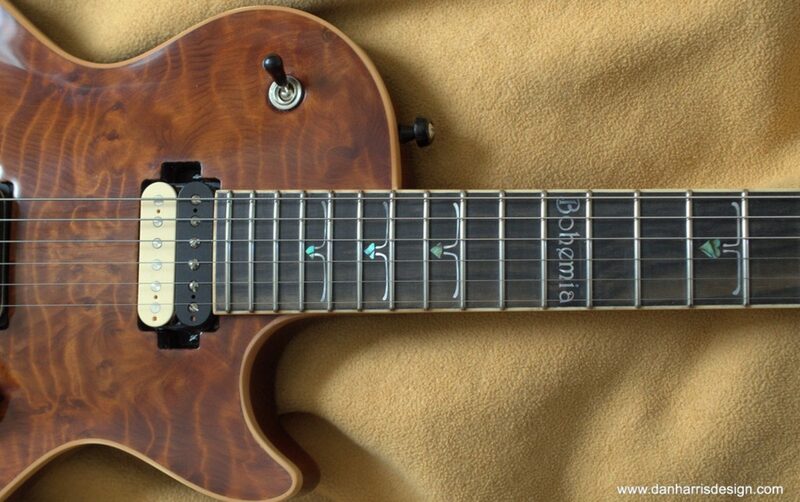 It has a simple tone control, which can be bypassed. It has a cathode bypass cap, which can also be switched out of the circuit. Volume, power and standby round out the controls. I used two Weber 10″ alnico speakers in the cabinet- one is open back, one closed back. I can pick either or both speakers, and can pick series or parallel connections when using both speakers. It is very versatile for such a small simple amp- I use it all the time! 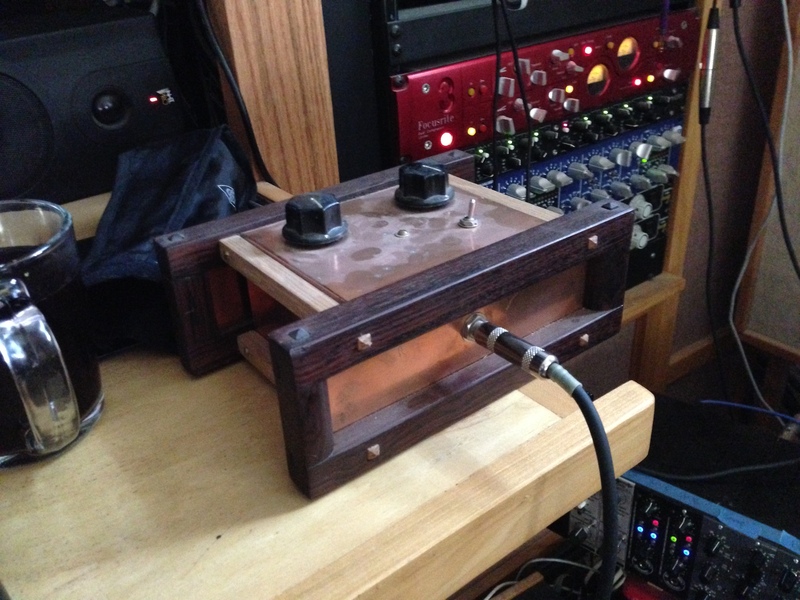 This box allows me to send pre-recorded tracks out to a guitar amp for processing. I find it great for making a synth or keyboard sample sound more “lively”. Fully passive, it has a Jensen transformer, ground lift. I used some nice hardwoods, mortise and tenon joinery, and roofing copper.